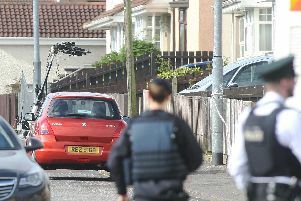 Members of the public helped to stop a hijacking in Londonderry on Saturday. It happened at 11.45am on Carlisle Road when a man attacked a silver Toyota Avensis which was in traffic, damaging the bonnet, then entered the vehicle. Members of the public stepped in and a 35-year-old man was arrested.